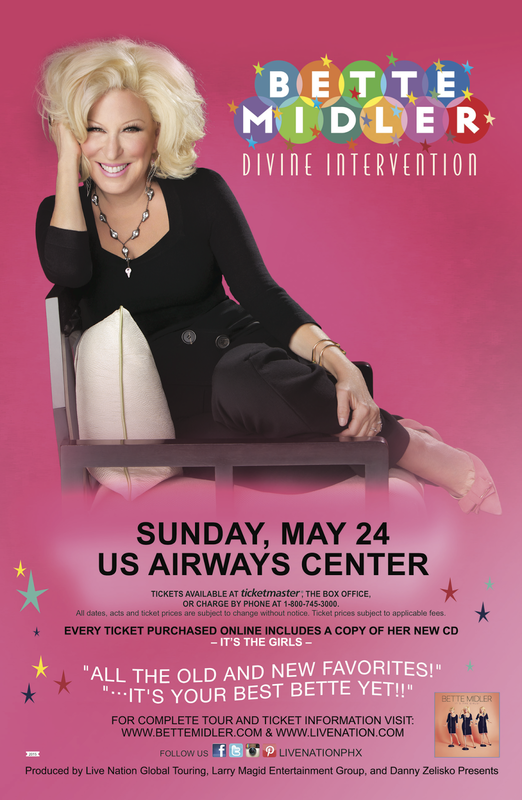 We are so thrilled to see The Divine Miss M in May here in Phoenix--special thanks to US Airways and their PR team for making this post and giveaway possible and accommodating us. Has a song ever resonated with you so deeply that it makes you tear up when you hear it? 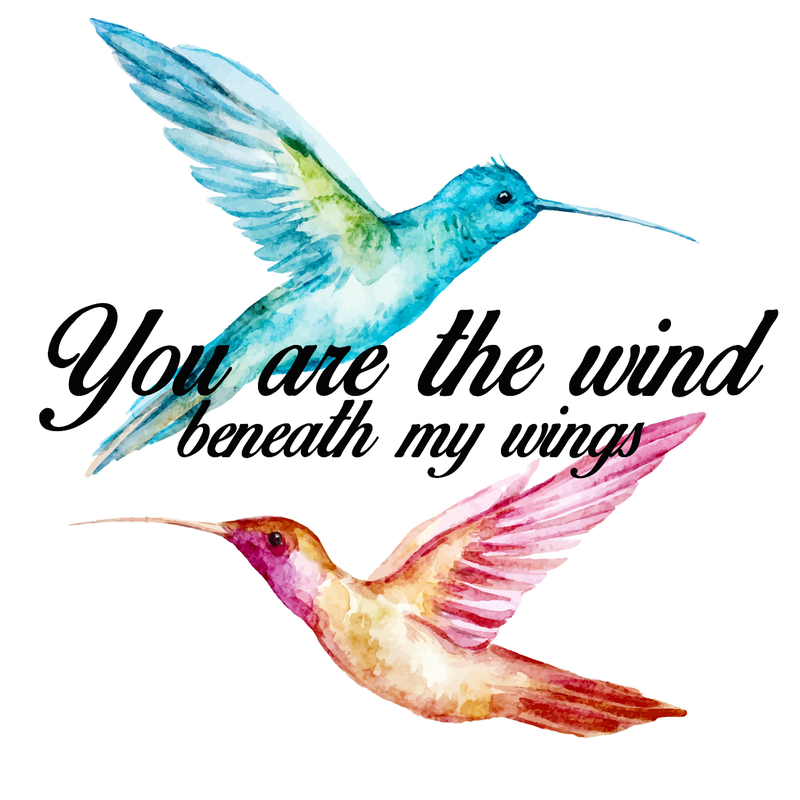 When I first heard Bette Midler sing "Wind Beneath My Wings" I bawled like a baby. This song has always brought up so many emotions for me, and I simply adore Bette Midler. This woman is so talented and beautiful inside and out--and I am so excited that she's going to be here in Phoenix at the US Airways Center on May 24! 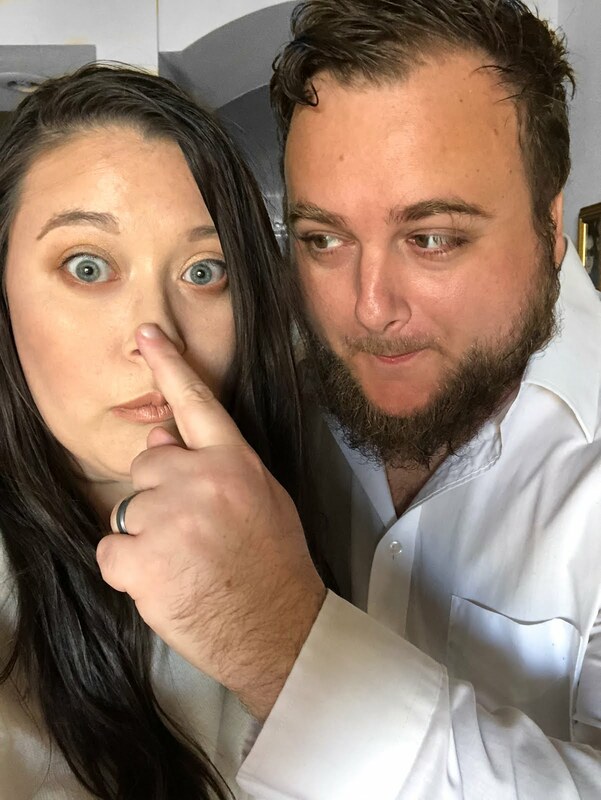 The Divine Miss M's tour kicks off at the beginning of May, and she'll be here to perform for us Phoenicians on May 24--I am so excited to hear her sing! I have not had the opportunity to see her until now, and I feel like if I don't go now I may never have the chance to see her again in-person. She is such an admired and well-known icon of the entertainment industry, and it will be such a pleasure to see her perform! If you are eager to buy tickets and see her with us here in Phoenix or in another city she'll be visiting, you can buy your tickets here. As for my fellow Phoenix fans, we've got a giveaway for you! Who will you bring with you to see the show? Wow how cool! I have actually never heard of her before and am not near the area but I will check her out on YouTube :) Thank you! Oh she's a huge deal! You should really check out her music for sure--she is definitely an icon! Sorry you missed it too! Maybe there is another city near you where she'll be performing at--I posted a link to the site for tickets in the post if you wanted to check!